LASPOTECH ND Part-Time Admission Entry Requirements. SSCE or WASCE orGCE ‘O’ Level orNECO or NABTEB with at least 5 Credits obtained at not more than 2 sittings, which must include English Language, Mathematics and three other relevant subjects related to the programme of study. Candidates with lower qualifications than the above requirements but with at least three (3) relevant Credits and two (2) Passes could be considered for admission into the National Diploma Programme only, provided such candidates are not below the age of 40 years and have a minimum of 15 years work experience at SUPERVISORY LEVEL. 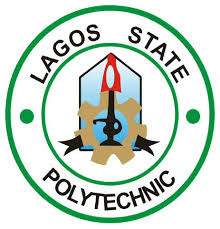 How to Apply for LASPOTECH ND Part-Time Admission. Select the programme i.e. “Part-Time ND”. Candidates are expected to scan and upload their O’level result. Date of Closure: Sales and Submission of Application form closes by Sunday, August 20th, 2018.